New Delhi: Infosys, India's second largest software services firm, has pulled out of a proposed software development centre project to be set up near Bengaluru citing lack of infrastructure in the country's 'Silicon Valley'. It has also asked the Karnataka Industrial Areas Development Board (KIADB) to refund the deposit for land it has paid. 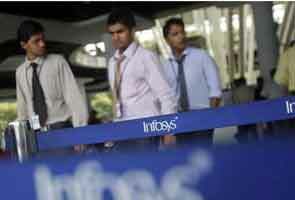 Infosys has taken the step citing lack of infrastructure at the 1,000-acre IT park to pursue its business plans. "The company has conveyed its intention to surrender the land citing lack of infrastructure," Infosys said in a regulatory filing. Further, Infosys has reiterated that this does not in any way affect the operations or performance of the company, it added. The Bengaluru-based firm had plans to build a development centre on 100 acres at the Devanahalli IT Park. Its main campus at Electronic City in Bengaluru has 26,000 seats. Infosys had proposed setting up a 20,000-seat facility at the new campus, according to its original proposal to the government. In June 2010, KIADB allotted 40 acres to Infosys, which requested for an additional 60 acres. Infosys, however, decided to exit after it noticed dismal progress on the infrastructure front.